I took part in the event called Historic Filipino Town Fiesta held last August 1, 2009 at Temple St. in Los Angeles, California. 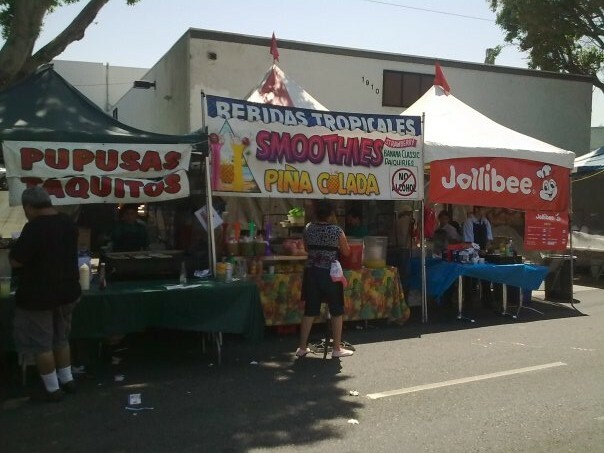 Aside from the show, one of the main attraction of the said event was several booths set up in both sides of the street where vendors primarily sell food and drinks, promote products and services by giving out some promotional giveaways to visitors. Some of these vendors have a roulette wheel so that contestants can spin it and hitting the spot could win a prize. Feeling bored and enervated by the hot climate condition while watching the show, I stood up and went to see what I can indulge something different outside. So I made a decision to join people piled up for a roulette wheel game. Just before my slot heads up to me, I visualized the prize that I was obsessed to get and the first prize was a promotional giveaway bag. As I turned the wheel, my mind was set to get the bag and when the wheel stopped, it hit the spot of the first prize! So I got the bag; I went to another booth and this time the prize was to "select what you would like to get" concentrating with my mantra to win the game. As soon as the wheel stopped, it hit the spot where you have to select the prize that you would like to receive. So I picked a bottle of mouth wash; Not contented by the games I played previously, I went to the third booth and this time, the first prize was a t-shirt. But then again, I played the wheel for the third time. So I focused on getting my shirt; My turn came to spin a wheel, and I won and got the garment of my obsession! So it got validated my scientific and paranormal belief, as my predetermined thought was so strong and I have fully realized that I may have the ability to control things that I would like to recur, as long as it doesn't cost me a money. It was a proven fact that once I focused on something like my some of my goals, it usually happens. 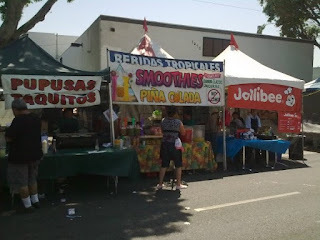 I went to Historic Filipinotown celebration in Temple St., Los Angeles and took part on the event. At the side of the street are booths and the stage was set up for performers and contestants. Afficionados and participants gathered as early as 7 a.m. to engage in the fun run. Joining the said event was the superstar Nora Aunor. The Historic Filipinotown is a newly created district of the City of Los Angeles, that makes up the southern portion of Echo Park, Los Angeles, California. It was declared Historic Filipinotown because it was one of the few areas where Filipinos first settled during the early part of the 20th century.